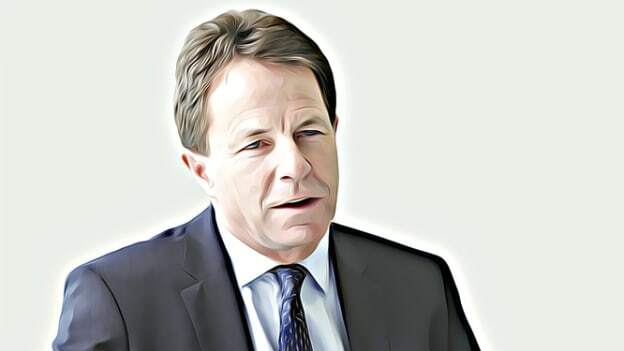 In a compelling conversation with People Matters, Peter Cheese, CEO of the Chartered Institute of Personnel and Development shares his perspectives on HR transformation and what HR leaders need to do to align the HR strategy with the business outcomes. Peter Cheese joined the CIPD as Chief Executive in July 2012 and before CIPD, he was with Accenture for about 30 years in senior roles and was responsible as the Global Managing Director leading the firm’s Talent and Organization Performance Consulting Practice at the end of his tenure at the firm. Peter is a Fellow of the CIPD, a Fellow of AHRI (the Australian HR Institute) and the Academy of Social Sciences. He’s also a Companion of the Institute of Leadership and Management, the Chartered Management Institute, and the British Academy of Management. He is a visiting Professor at the University of Lancaster, the Chair of Engage for Success, a member of the Board of BPP University, and sits on the Advisory Board for the Open University Business School. He holds honorary doctorates from Bath University and Kingston University. He was voted by HR Magazine as the most influential thinker in HR in the UK for 2013. You joined CIPD (2012) at a time when HR as a profession was just beginning to see changes, and there were immense possibilities for the function as a whole. Is that what really motivated you to join such an institution? I started at the CIPD in 2012 at a time of great change and opportunity for the profession – and I believe it is still a great time to be in the people profession. But what really attracted me to it was the possibility of real change that the HR profession holds in its hands, which is the opportunity to positively impact the business ecosystem and even the society at large. However, I also realized that the profession itself had to step-up. When this opportunity came along to run a professional body in HR, I thought it was really interesting because a professional body like CIPD is a key instrument in helping the HR profession to move forward and to professionalize. But I could also see that the CIPD itself needed change as it seemed to have lost a bit of direction. So the opportunity to lead an organization through change, help the profession to step-up, change, and become more proactive are the things that drew me to it. What are your reflections on the state of the HR function/profession since you started out with CIPD? How have you seen this space evolve? Reflecting on how the HR space has evolved over the years, I can say that the pace of change has only accelerated. The evolution has been fast and what we are now seeing is that the big agenda for the HR profession has become a lot clearer. And along with this, the debates about the future of work, about what technology would do to jobs and organizations has really accelerated over the past few years. Today, there is a big focus on concepts like corporate purpose, organizational culture, and behaviors in organizations, and I believe that HR has a big role to play here. We are at an inflection point of change through the fourth industrial revolution, and all these ideas about creating much more human-centric organizations, well-being and inclusion, corporate purpose and social responsibility, creating more responsible businesses — are powerful ideas that are gaining traction and momentum. And so these are very exciting times to be in the profession. What is it that makes HR truly impactful? I think that when HR is connected to the business, understands the business context and the imperatives of the business, it can be immensely powerful and impactful. But what has challenged (and also currently challenges) HR is that it hasn’t always worked with a clear understanding of the business or the business context, which has raised questions regarding the value that the HR function brings to the table. HR has too often thought of itself as a control function rather than an enabling function. But successful HR teams work very closely with the business; they understand the business context, and the role that people and culture play in delivering the organizational strategy and the business strategy. HR needs to be much more involved in the business strategy because I don’t think any business strategy is sustainable in today’s world without an understanding of the people and organizational dimensions. Successful HR teams work in that space, and they deliver through their HR processes and functions real outcomes that are important to business. As we look at the HR profession now, we have developed new standards and competency frameworks for HR, and are driving it from a mantra which is quite simple and reflects that we need to be more principles-led, evidence-based, and outcomes driven — it is about aligning HR to business outcomes and also making sure that we are really pushing on the ideas of business responsibility, and are clear on the evidence about what we do, why we do it, and the difference it makes. These are the paradigm shifts that we need to see within business thinking and HR has a major influence here to translate such ideas into the business strategy and create more sustainable, responsible and long-term thinking in businesses instead of businesses only driven by short-term profit incentives. The dogma that has driven businesses for the last 30-40 year which is “the only purpose that business has is to make money”, needs to shift. Of course, businesses need to make money but they must do it in the right way that is good for all stakeholders — this is something that HR can truly influence. When it comes to aligning with the business, as you have just suggested, how can HR leaders do it? I think that first and foremost, we need to be clear on the purpose of the HR profession and what it is really here to do. The HR profession is about positively impacting people’s working lives as well as aligning with and shaping the purpose and culture of an organization. HR is also responsible for supporting the leaders in instituting a sense of purpose, building a culture of openness and innovation, and empowering and supporting employees to give their best. And to do this, HR needs to understand concepts of corporate governance, business strategy, and analytics, as well as HR practices and the employees in an organization so that it can balance the economic and social interests. And we call it out as championing better work and working lives. We must move away from our reliance on generic best practices and processes to values-based decision-making, and exhibit how having the right core capabilities and living our professional values (being principles-led, evidence-based and outcomes-driven) leads to better decisions and impact in any situation. Our new professional standards are divided into three categories: core knowledge (what you have to know to consider yourself an expert in people, work and change – regardless of your role, sector or specialism); core behaviors (ways of thinking and acting that should be universal and consistent across the people profession, even in new and challenging situations); and specialist knowledge (from L&D to OD&D to Employee Experience and beyond, the knowledge needed to operate in a broad spectrum of specialisms). It is about driving interventions with a deeper understanding and reflection of all the evidence and science we have gathered over the years about the things that affect people and how people really learn. We have to make a mindset shift – a shift from a world of control to understanding and reflecting on what the businesses really need based on contextual understanding and core knowledge. What is the direction that CIPD is taking for the future of work when it comes to technology? Our position on the future of work is that it must be human-centered. Technology can impact so much of what we do, how we work, how we learn, how we communicate and interact, and we need to ensure that we are using the fast-growing technologies of AI, machine learning, and robotics to benefit people, and to create jobs and roles that best use our human skills and capabilities. HR has a profound role to play in designing roles and the workplaces of the future that create the best opportunities for people, good quality jobs, opportunities for progression, and that we use technology ethically and responsibly. What is the biggest HR trend that CHROs must prepare for in 2019? 2019 will be another year of change and continued uncertainty politically and economically. Businesses need to be agile and able to adapt, to build for the long-term, but also respond to the many short-term changes happening around them. The big challenges of building diverse and inclusive workforces and organizations, of supporting wellbeing, of culture change and development of good people managers, and of accessing and developing the skills and talents our organizations need will all continue to be priorities for CHROs. We will have to innovate more, and to understand how we can use technology and analytics to best support what we do as a function, but also how this impacts the future of our organizations and the operating models that will best enable sustainable and successful business for the future.